With the holiday season upon us, it’s important to give your appliances the attention they need so that you’ll be able to entertain worry-free this season. 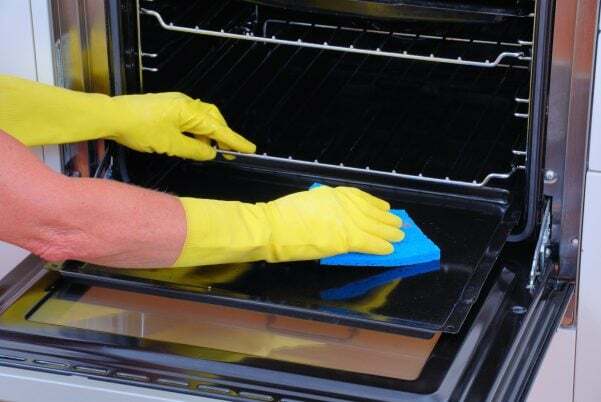 Self-Clean Your Oven Well Before You Need It. The self-clean cycle of you oven reaches very high temperature and can act like a stress test, revealing components that are close to failing. Although, it is unlike that you will have a problem, crunch time is not when you want to find out there is one. Cleaning several weeks prior to the occasion would allow time for service if needed. Check your oven temperature. If you want to be sure that Great Aunt Betty’s famous dessert turns out perfectly; a test run with “Betty Crocker” or “Duncan Hines” could be just the recipe for success. Traditional family recipes are wonderful but may vary by a pinch or dash which can make the results vary as well. By using a “Box Cake” as a test the variables of the ingredients is removed revealing whether the cook or the “cooker” is responsible for the results. Or you can put your fears to rest by having the temperature checked by a professional at Don Bacon Appliance Service. Check the vent cover flaps. Cooler temperatures this time of year drives the critters to try to get in where it is warm. Ventilation covers have a flap to stop cold air and pest from entering your home. Insect and bird’s nests, or a dent by a lawnmower for the covers mounted near the ground can cause a flap to stick open. These points of entry can allow pest to wreak havoc on your appliances and home. If you find a flap stuck open, clear the problem and test the free operation of the mechanism or call us for service. Refrigerator. Winter is the best time to maintain your refrigerator; some have coils that need to be vacuumed regularly. Checking for component failure, cleaning the door seals, the drain, and drain pan are all part of the scheduled maintenance service offered by Don Bacon Appliance Service. Clean out dryer lint. Did you know that dryer lint is the number one cause of home fires? This is lint is very flammable! Check the vents for lint clogs, be sure to clean the lint filter after every load; also clean inside, behind, and underneath the dryer because lint builds up there as well. Drying times are taking longer. Your dryer is getting hot when you’re using it and your clothes are being damaged. You can’t see any steam or hear any noise outside your house at the wall vent when you run the dryer. Frozen water lines – Dishwashers located on an outside wall, especially in older homes that have little or no insulation, are susceptible to having their water supply lines freeze and burst. Keeping the adjoining cabinet doors open during really cold periods may prevent the freezing. If you have any questions about a particular problem or would like to be scheduled for maintenance please don’t hesitate to reach out to us. Broken Appliances – Repair or Replace?